Professional installation of your project. Major upgrading projects or modest jobs. All sorts of repairs carried out quick. Helpful and qualified workers. Get a free work quote. Flexible and convenient. Great results are guaranteed. Or it could be you have a couple of old walls which have become damaged and you need them fixed and painted. 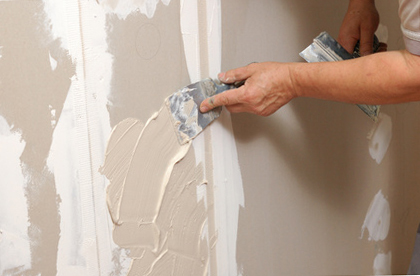 They are experts in setting up and mending sheetrock (drywall). They service both new construction and existing houses. On a common maintenance job, they will patch areas that can be patched and repaired. Other parts may have to be cut out and replaced. They work inside a variety of buildings. They can be individual houses, apartments or business properties. 1. The drywall is delivered to the work site. 3. The trash and extra material is removed, and the area is cleaned. You can start painting as soon as step five is done. Typically, they do all of the steps, but some property owners don’t need each process done. For instance, in most instances, the interior of a garage will get drywalled, but it won’t end up being painted, so the last step of finishing and sanding is frequently skipped. If you would like to install it yourself, you could have them show up later on and complete the taping, mudding and sanding work. They don’t put up typical drywall in high-moisture rooms, they’ve got special wallboards for that. Plus, they’ve got strong cement-based boards for any walls where you intend to put ceramic tile on. Tile should be placed on a stronger wall board. Stuff can happen from time to time. Holes and dents can get made in walls. Plumbing can leak. Different situations can damage your sheetrock. If your house has just one hole or dent, and it’s in an out of the way location (like a closet), you should try and fix it yourself. A hole that is too large to be covered with just joint compound must be patched. Homeowner patches do not generally look excellent. It’s hard to make the surfaces level and the surface texture right so that it all matches up after it’s painted. If your damage is in an important area, you might be better off having an experienced tech tackle the patching and texturing. You don’t want neighbors to see an unsightly patch when they step into your home. The surface of your new walls or ceiling are textured to correspond with the surface of your current walls or ceiling. Repairing a few panels so that area or rooms can be painted. Taking away and replacing sheets of drywall ruined by water. Completing the removal and replacement of a big room or two. Frequently due to a water disaster or other serious event. They could fix your small-sized affected areas, or they could conduct a total renovation. They can do the job. Completely unfinished surface – only taped, meant for non-finished storage spaces or garage areas. Smooth surface finish – no added texture, in position for painting or wallpaper. Basic texture – delivers some extra depth. Complex texture – requires additional troweling and more tricky to do. Texture matching – make your new wall surfaces match your original ones. Does your place have that popcorn ceiling composition that you aren’t very happy with? You can get rid of your old ceiling and get a modern-looking one instead. They could do that for you. They can take care of your job, from beginning to end. Their mission is to finish your job in good time, at the price you expected plus have you really like the results. They don’t use any cheap materials. All the materials are good quality. They have all the specialized tools essential to get your job completed fast. 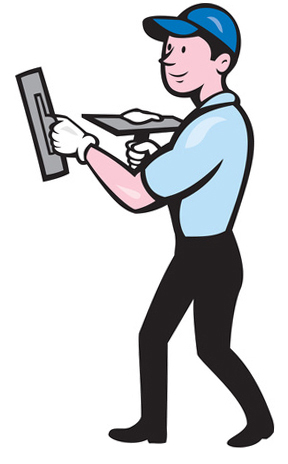 Their team is dependable, clean and respectful of your property. They attempt to protect your belongings from work dust and damage. When your project is done, the last step is to take away all the unnecessary material and trash they produced. The majority of their efforts are carried out in individual houses, but they also handle commercial and multi-family buildings too. It doesn’t matter who you are – a homeowner, landlord, commercial property manager – they can likely take care of your job. They will be pleased to write up a quote for your project. They will need to find out the number of services they will be delivering and the size of the rooms that will be worked on. Since there could be a couple of factors affecting your job, an effective way to find out more is through a brief phone call. They can arrange to have your new or repaired walls and ceiling painted too. They can do that if you want them to. In case you don’t want them to do it, you may hire a different painter or simply prime and paint it yourself. They are pleased with whatever you decide to do. Are They Working in Your Spokane County Neighborhood? You can often find them working on projects around town. Make a call if you are in any of these areas: Downtown, Fairwood, Geiger Heights, Liberty Lake, North Hill, Bemiss, Comstock, Dishman, Glenrose, Greenacres, Hillyard, Latah Valley, Lincoln Heights, Lincoln Park, Logan, Manito Park, Millwood, Minnehaha Park, Moran Prairie, Pasadena Park, Rockwood, Spokane Valley, and Veradale. They also venture over into Kootenai County: Coeur d’Alene and Post Falls. They work on homes and businesses all around eastern Washington. This includes the downtown and central areas of the city – Geiger Heights, North Hill, Fairwood, Liberty Lake, Northwest Spokane and out to all the areas over towards the border.